There are many telltale signs of the holiday season creeping in. Colorful lights and decorations fill displays across town. Promotions for children’s toys are eye-catching, and the Salvation Army’s Santa Claus rings his cheery bells for all to hear. It feels like… the most wonderful time of the year! The holiday season is treasured all around the world and is celebrated in many different ways. Several countries in Europe take part in the same holidays that are celebrated in the U.S. They also have a few of their own celebrations, such as Saint Stephen’s Day on December 26th. Saint Stephen’s Day, or the Feast of Saint Stephen, is a Christian saint’s day to commemorate Saint Stephen, the first Christian martyr or protomartyr. It is considered a national holiday in Ireland; however, the actual celebrations and festivities have little connection to the Saint. The day is observed by attending festivals (typically outdoors) and socializing with friends and family. The idea is that December 25th is a time to spend indoors. South Korea is the only country in East Asia to formally recognize Christmas as a national holiday, but the holiday is celebrated throughout Asia, penguins dressed as Christmas trees and Santa Clauses parading in Seoul! In Sweden, the Feast of St. Lucia is widely celebrated in the days leading up to Christmas (December 13). Celebrations in Norway include gløgg, a warm spicy drink usually made with red wine, and gingerbread cookies called pepperkake. Christmas is celebrated in a commercial style in Japan, coming on the heels of a huge Japanese holiday, the Emperor’s Birthday on December 23. The Christmas chicken dinner is a favorite in Japan. (Note: the U.S. Embassy and Consulate will be closed in observance of both holidays, so no depositions may be held in Japan on those days). 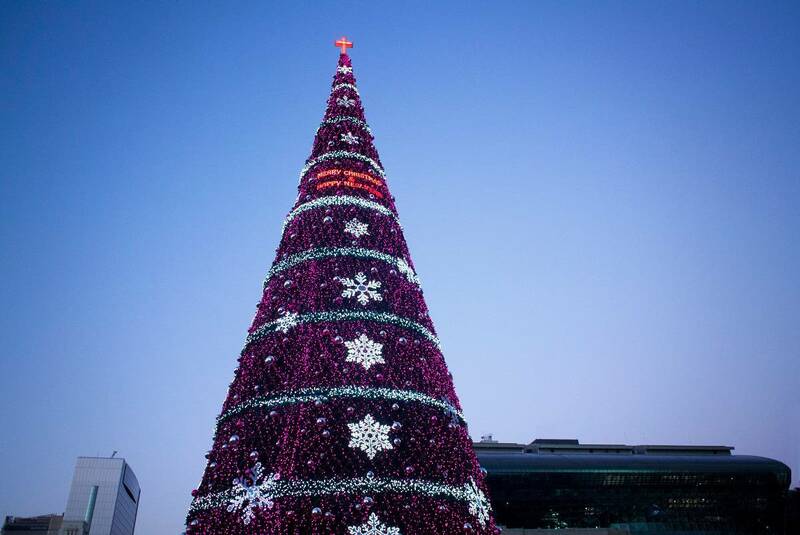 A giant Christmas tree in the square in front of Seoul City Hall in Korea. Colombia begins a Christmas Novena on December 16, a tradition of the Catholic Church to encourage remembrance of the spiritual meaning of Christmas. Many families set up a manger scene, and carols are popular. In Germany, Santa Claus (St. Nicholas) is sometimes accompanied by Knecht Ruprecht to serve as a warning to children to behave. Israel draws pilgrims from around the world year-round, but a Christmastime pilgrimage holds special appeal for many. With the holiday season and the many distractions working in the background, the last couple of months of the year are often busy for attorneys and paralegals, scheduling end-of-year depositions and proceedings, and planning for depositions in the year to come. Much of the stress involved in this planning can be eliminated by selecting the right court reporting firm to assist with the planning. Working with a firm with offices and court reporters throughout the U.S., as well as overseas, reduces costs and helps put your mind at ease. Check to see if worldwide videoconferencing and streaming are available to further reduce costs. Even if you must travel overseas for your depositions, your court reporting team shouldn’t have to; look for a firm with reporters, videographers, and interpreters local to your deposition country. Working with the right court reporting firm allows you to efficiently coordinate your depositions, so you can enjoy your own holiday traditions! Planet Depos has been covering depositions and legal proceedings throughout the world for over a decade. For more information on scheduling overseas, fill out our Quick Questions form, Schedule Now form, or reach out at 888.433.3767 or international@planetdepos.com. 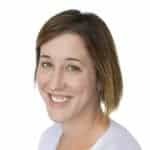 Vanessa Sanchez is a Digital Marketing Specialist at Planet Depos. She graduated from SUNY Brockport in 2018 and takes pride in the fact she’s survived the weather in upstate NY. She enjoys doing home DIY projects and spending time with her two dogs, Nilla and Daisy. She also loves to travel and learn about different cultures, especially their foods!